Hello world! 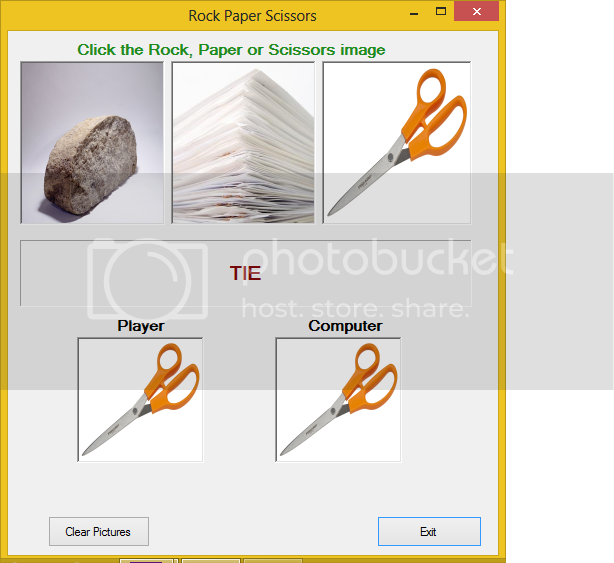 today I am going to show you how to create a rock paper sessiors game in the C# programming language. 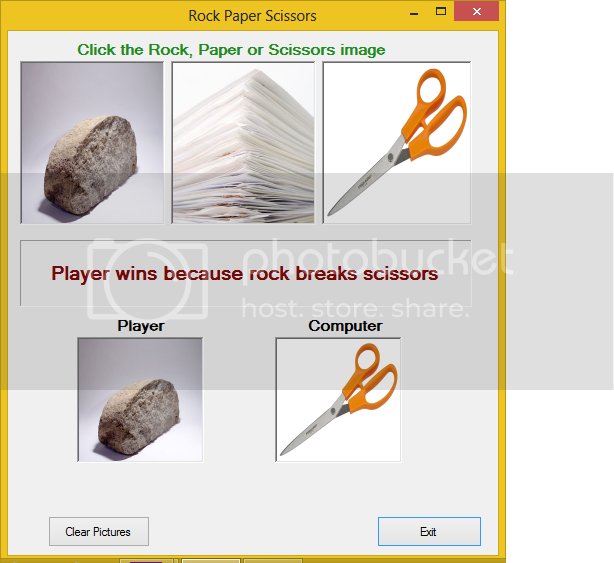 Rock paper scissors is a hand game played by two people.The players usually count aloud to four, or speak the name of the game (e.g. "Rock Paper Scissors!" ), each time either raising one hand in a fist and swinging it down on the count or holding it behind. On the third count (saying, "Shoot!" or "Go!" "Scissors!" or "Bo! "), the players change their hands into one of three gestures, which they then "throw" by extending it towards their opponent. 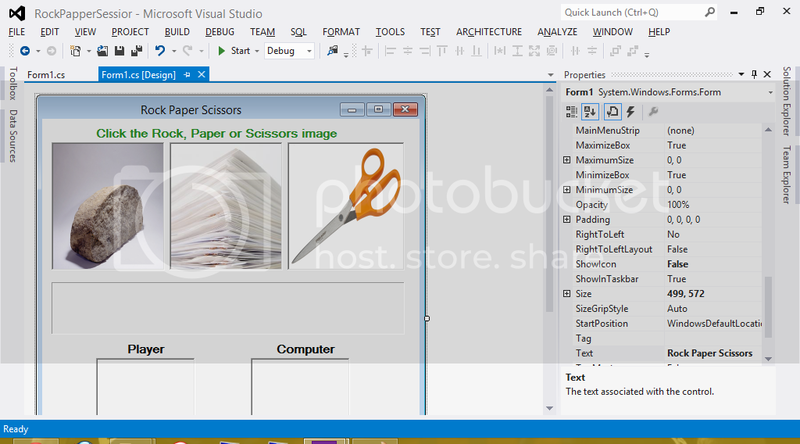 I am going to show you how to create this game step by step by providing code and screen shot. if you have any question about the code, leave your question in a comment below. after finishing c++ and doing java i realized that c# was relatively easy and user friendly, i cannot see myself doing prolog for too long with c# around although the two languages are from different paradigms.